Your welcome man glad you got it! Nice work guys. I have one of the Donruss Signature convention parallels, from the 1999 Philly sports fest. Had no idea so many more are (or might be) out there. Nothin scratches an itch better than unreleased pinnacle! For me its the thrill of the chase of these cards that keeps me going. Probstein listed a bunch of 97 Donruss Preferred Precious Metals (and incorrectly listed 98s) for insane BIN/BO prices. Surely these aren’t going to bring anywhere near the asking prices? Nice Super Script! I'm still missing Rusty Greer's 2000 Super Script. I've always loved the look of the Building Blocks PMG. Too bad the checklist is meh. They look way better than the MLPD or whatever in PMG. Thanks, super script are real tough, missing a Bernie too. 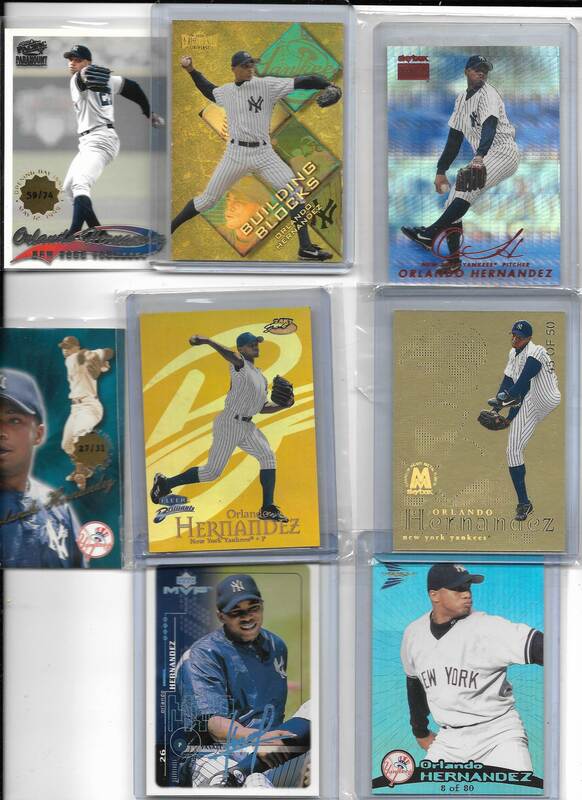 Kevin, you've put together a great El Duque collection.